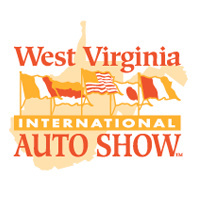 New cars, trucks and SUVs will fill the Charleston Civic Center Center for the 2019 West Virginia International Auto Show! Friday, February 8 – Sunday, February 10, 2019. *Family Day is Sunday! All children 12 & under admitted FREE on Family Day when accompanied by a paying adult. Receive a FREE one-year subscription to Motor Trend with each online ticket order or box office purchase, sponsored by West Virginia Automobile & Truck Dealers Association.